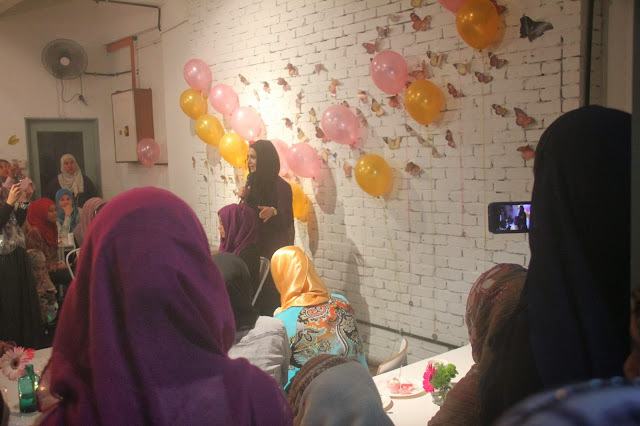 Last Wednesday I had the chance of attending Amenakin's meet & greet at Food Foundry Petaling Jaya. I've been following her since her first few hijab tutorials on YouTube. 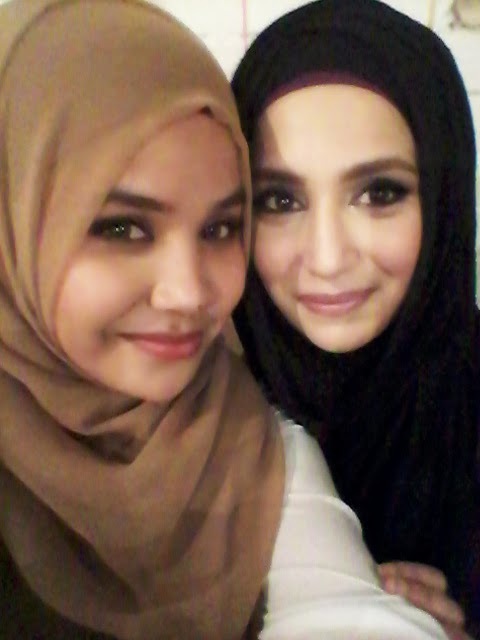 No doubt she's a beautiful lady and even more so in person, masyaAllah! 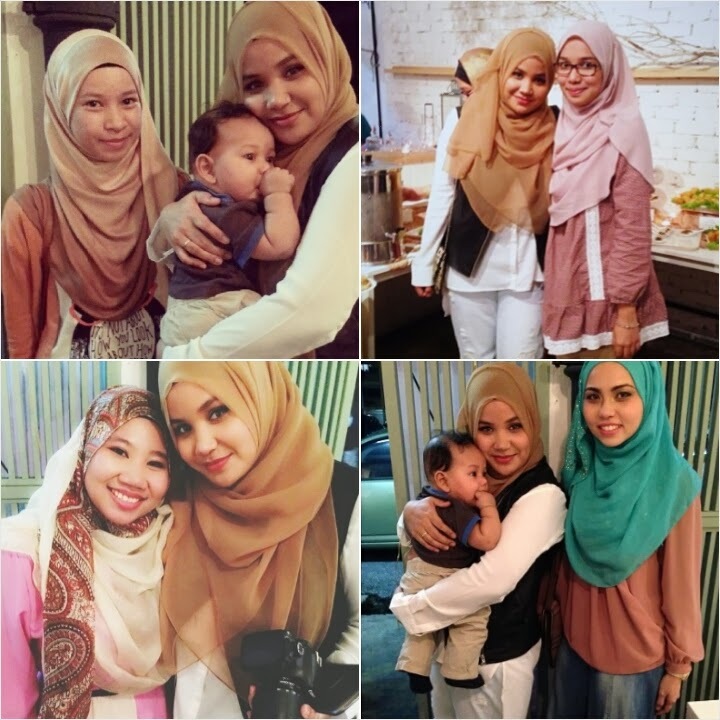 I still remember in one of her earlier videos she shared the story of how she started to embrace the hijab. That was years back. Now she's turned into such an icon for so many Muslim women around the globe. 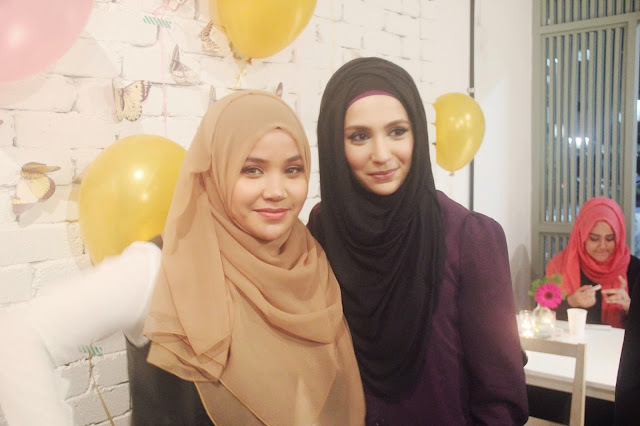 She is the epitome of grace MasyaAllah, and what I think every Muslim women ought to be. The night was indeed heartwarming and filled with laughter, friendly smiles and warm hugs. Not to mention great food & service. My husband, Juhd and I arrived at the event about an hour late. Turns out, we arrived at exactly the same time Amena & her husband did! After her hoojab tutorial, I sneaked into the excited crowd, greeted her, we chit chatted for a bit(i totally got tongue-tied btw pfft i hate myself), took some photos, and tons of selfiesss of course!! I felt bad for taking up her time but being the humble person that she is, she didn't seem to mind at all. I'm even positive that she made sure everyone was happy and got enough time with her, and not just a quick hi-photo-snap-done. She even sent snuggles to Juhd. Awwwh.